William & Mary, Environmental Geology – B.S. University of Virginia, Civil Engineering (Environmental) – M.S. “Keeping students interested in pursuing scientific careers was my primary motivation to become a teacher,” says Ms. Nguyen. “I think science classes should be taught by people who love science”. Ms. Nguyen uses her love of science to inspire scientific curiosity in the students who take her Chemistry classes at CBGS. 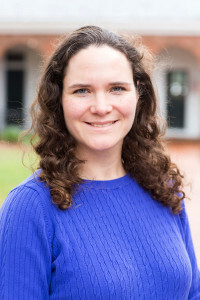 She looks forward to watching her students make connections and come up with solutions to the world’s environmental problems, both on a local and global scale. Ms. Nguyen also likes to cook and spend time with her husband, three children, and two cats.